Asiatique is right on the banks of the Chao Phraya River. It is an old trading port that has been converted to a night bazaar. There are lots of things to do there. There are fantastic restaurants, tasty food stalls, bars, and live music. 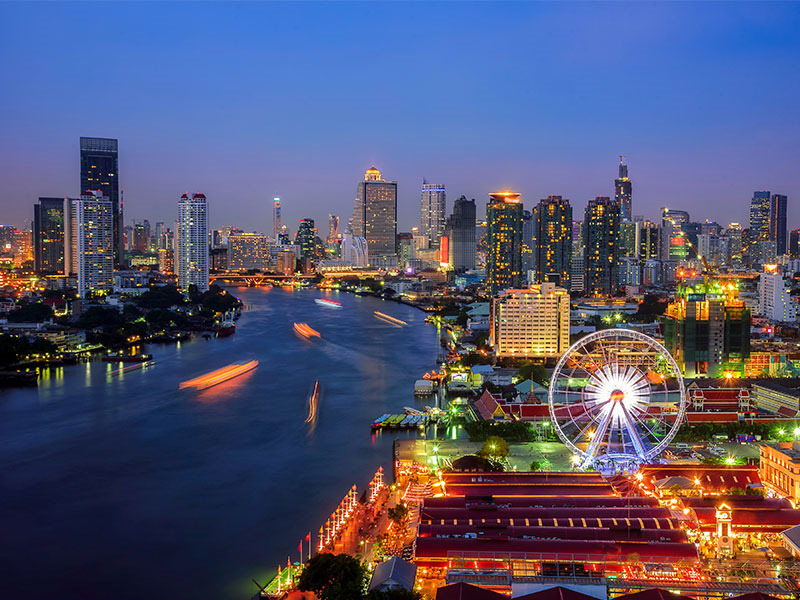 Your kids will love the traditional Thai puppet shows, the fun street food, and the big Ferris wheel that will let you enjoy a spectacular view. In the heart of the city is SEA LIFE Bangkok Ocean World. You can easily get there by traveling to the Siam BTS station and heading to the basement of the attached Siam Paragon mall. This underwater aquarium houses thousands of species of underwater creatures, and even penguins! It’s a fun activity for the whole family. Want an engaging cultural look at Thai history? Try the Siam Niramit Theatre. 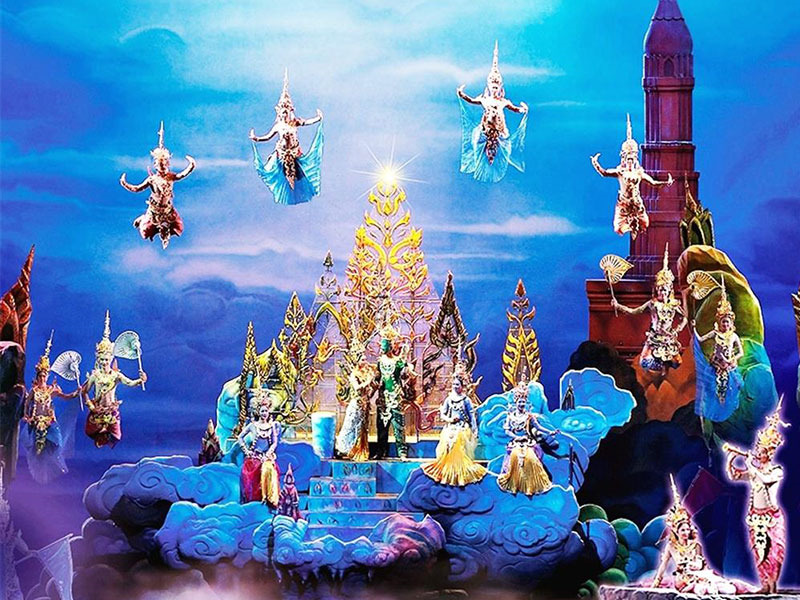 There are shows every night with beautiful costumes, dazzling light effects, and even an outdoor area where you can walk around and learn about Thai culture from the different regions. The kids will be dazzled by the show and love the fun activities the theatre has to offer. Quite a few people aren’t fans of these slithery creatures, but who knows? After a trip to the Bangkok Snake Farm, you may want to get a reptilian pet. At this snake farm, you will learn a lot about different types of snakes and even get a chance to hold one. The handlers take care of the creatures well and are more than happy to be patient with you as you work up the courage to hold a slithery snake. 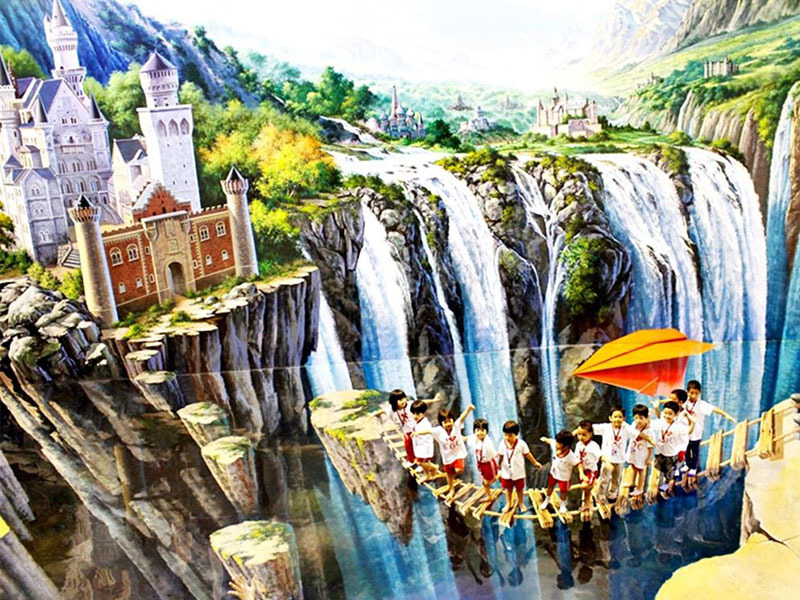 This 3D art museum is a great place to spend a couple hours. 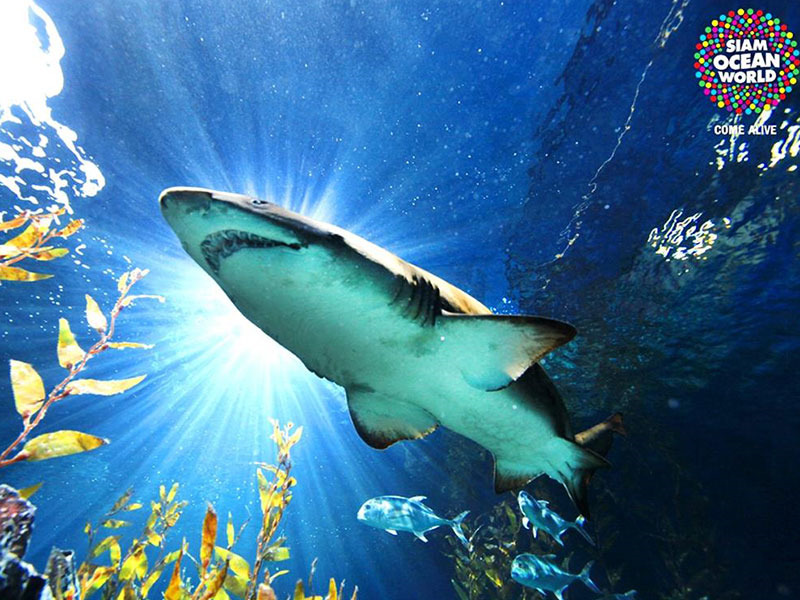 Let the kids be astounded by the cool 3D effects and don’t forget to snap a few pictures for memories of your adventure. 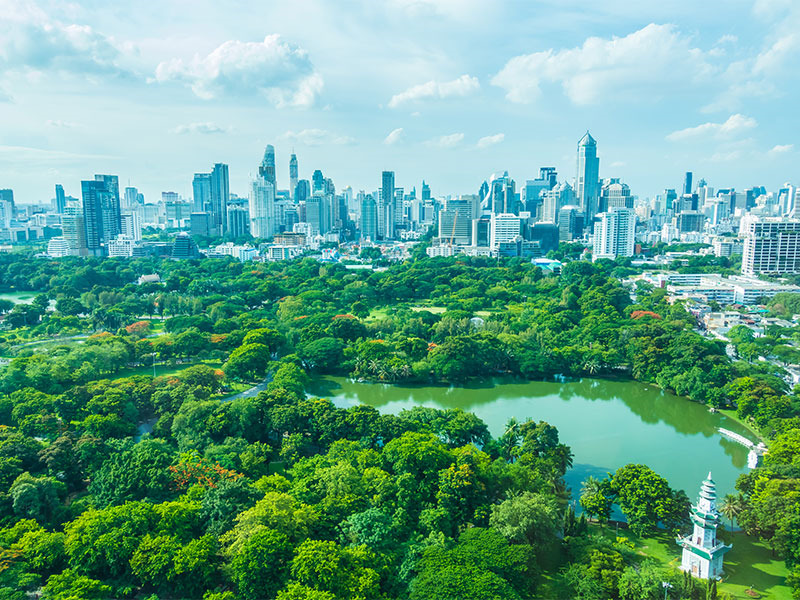 There are several parks around Bangkok that are wonderful to visit on a warm, but not hot day. If the kids have a bit of pent up energy, take them to Lumpini, Benjasiri, or Benjakitti parks. These ones are relatively central and easy to get to, and your kids will love playing on the playgrounds, riding rented bikes, or even paddling around the lake in boats. 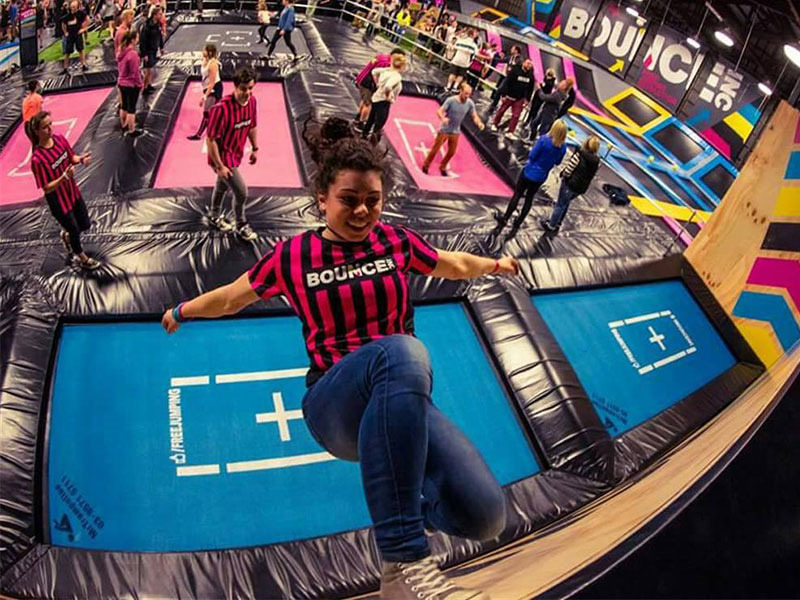 Let the inner delighted kid in you out to jump on trampolines at Bounce Bangkok. There are a variety of trampolines, climbing centres, and other places to play here. Plus, it’s a fun way to work off some of the great food you’ll inevitably eat while visiting Bangkok. When the kids tire of indoor activities, take them on an adventure on Bangkok’s rivers and canals. 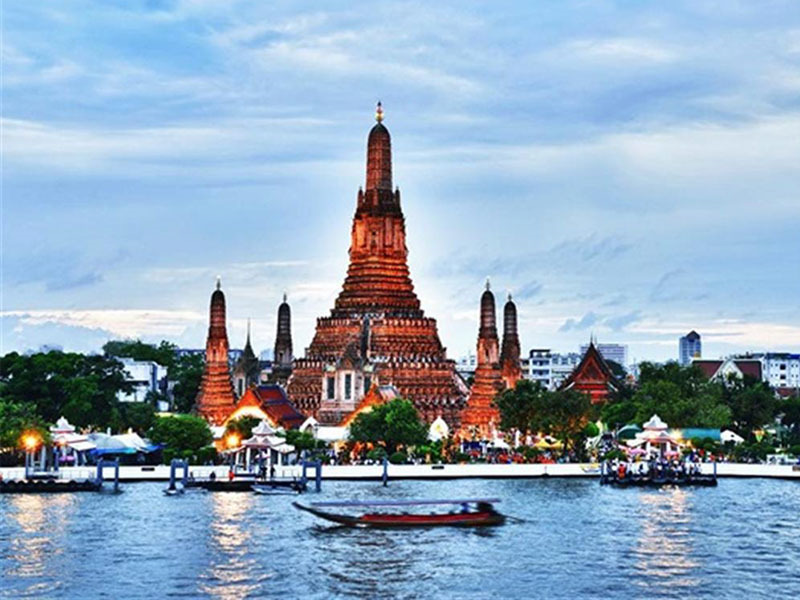 There are several boat tours that you can go on at the Chao Phraya River. Or if you prefer, hop on the Express and do your own tour to see how the local Thai people live. You can even visit beautiful temples and stop for great food! 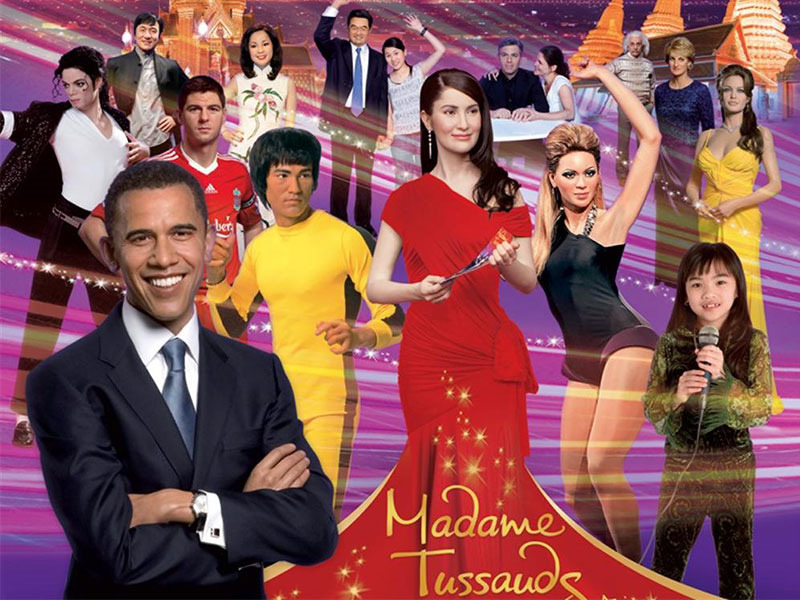 Wax statues are abundant at Madame Tussauds. Take a selfie with your favorite celebrity and let the kids pose alongside theirs. The realistic features are incredible to see and it’s definitely worth an hour or two of your day. 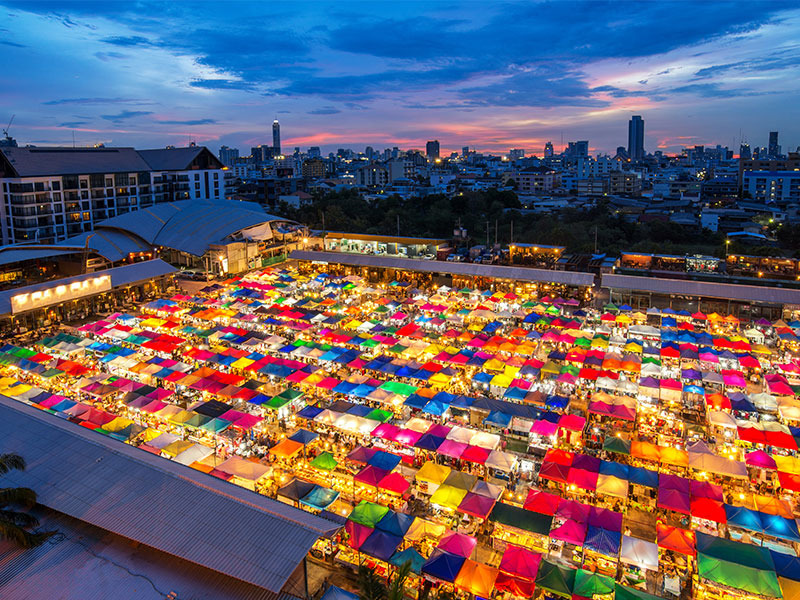 Chatuchak Weekend Market is one of those must-visit locations. It is the biggest weekend market anywhere around where you can buy cheap clothing, souvenirs, food, and even antiques and artwork! 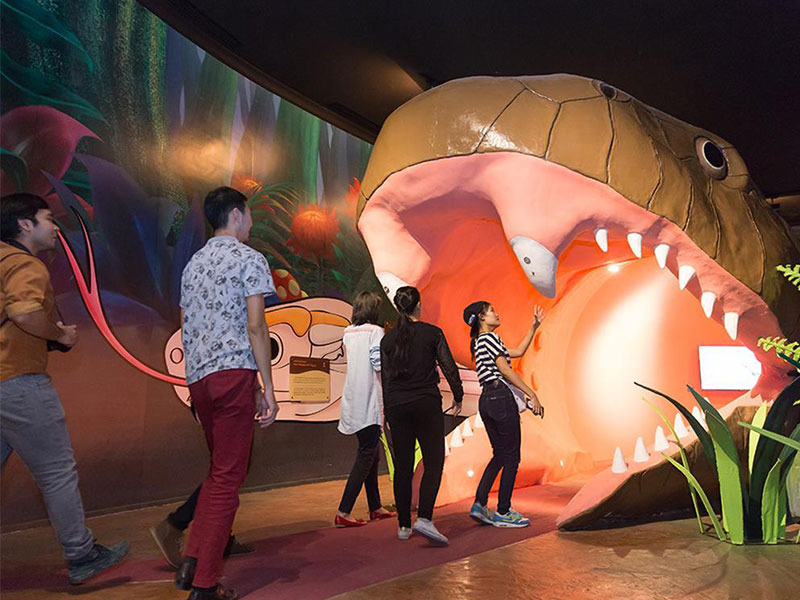 Bring your family along on the adventure of exploring this huge labyrinth. Don’t forget to bring cash and bargaining skills!